After 10 days of traveling to New York City, Cape Cod, Providence and Boston, I’m back in Florida. The trip was packed with fun activities and little rest, but I still came away feeling rejuvenated. One of my favorite parts of the trip was going for a late-night run across the Brooklyn Bridge. My friends and I were planning to get up at 6 a.m. and run, but we didn’t want to have to get up that early. After seeing “Mama Mia” on Broadway, we thought, “why not just run now?” So at 11 p.m. we went for a six-miler and ran over the Brooklyn Bridge and back. There were lots of people still walking and biking along the bridge, which I didn’t expect that late at night. On one side of us was the Empire State Building. On the other, the Statue of Liberty. Wide-eyed, I looked at the lights, the view and the full moon above us. When we turned around and ran back across the bridge, it seemed as though we were running into the city. I felt so small and insignificant in comparison. There was something humbling about the experience of feeling dwarfed by something that’s so much larger than you’ll ever be. 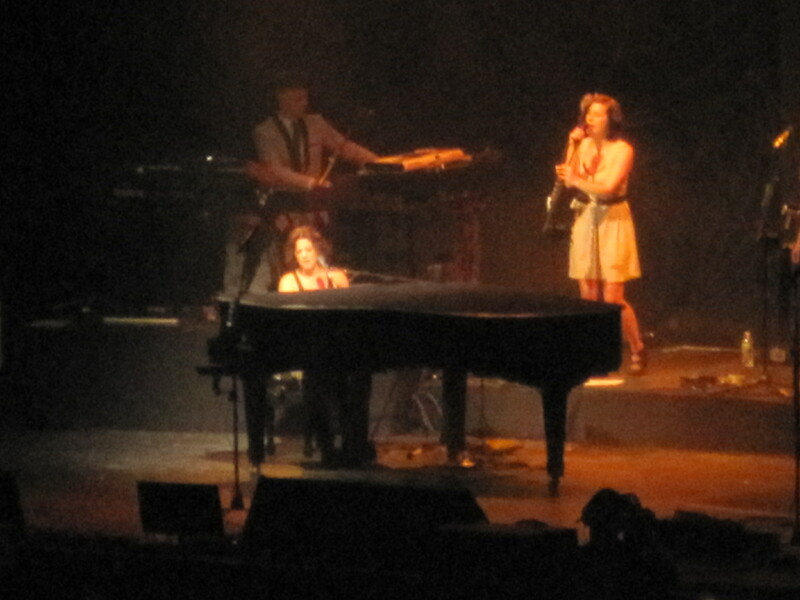 Sarah McLachlan singing "I Will Remember You." My other favorite part of the trip was going to the Lilith Fair with my cousin and two of my best friends. It meant so much to me to be with them and to have them all meet one another. The concert, which featured a variety of female artists, was a let-down for some. Ticket holders had complained prior to the concert because several big-name stars, including Norah Jones, Kelly Clarkson and Carly Simon, had backed out. But we still enjoyed it, and because of the low turnout, we got to move from the lawn to seating closer to the stage. That song will always carry a special significance. It often comes on the radio when I’m thinking of my mom or wishing I could ask for her advice. Seeing Sarah and visiting New York City reminded me of my mom, as she loved Sarah’s music and the city. The day I started my vacation to New York City was actually her birthday. She would have been 54.